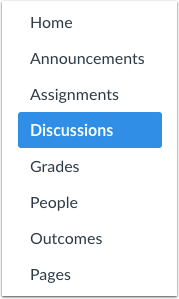 If you have allowed liking for a course discussion, you can like discussion replies. Click the name of the discussion. Previous Topic:How do I change discussion settings to manually mark discussion replies as read as an instructor? Next Topic:How do I pin a discussion in a course? Table of Contents > Discussions > How do I like a reply in a course discussion as an instructor? Is there a way of pinning discussion replies so they appear at the top? I would like my reply to be the first reply students see after the original post.